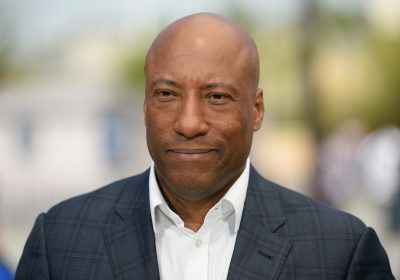 Byron Allen, the comedian turned media mogul, is in the hunt to buy Tribune Media, the 42-station TV network, which went on the block for a second time earlier this year. Allen, who paid $300 million for the Weather Channel in April, owns LA-based Entertainment Studios, an independent movie production company, and has been on the prowl to expand his media footprint. Three other bidders are also said to be in the hunt for the company, which includes WPIX in New York and WGN in Chicago. It’s a second go-round on the auction block for Tribune Media, which thought it had a sale to conservative Sinclair Broadcast network — until that $3.9 billion deal was unexpectedly blocked by the Federal Communications Commission three months ago. In the new round, my colleague Josh Kosman reported last month that Tribune Media was drawing interest from another conservative mogul, Tom Hicks Jr., the boss of private equity firm Hicks Equity Partners. Hicks also heads America First, a super PAC that’s aligned with President Trump. He’s submitted a joint bid with Cerberus Capital, the buyout firm helmed by billionaire Stephen Feinberg. Allen’s rival bid has backing from Citigroup and Goldman Sachs. Nexstar Media Group, which owns 171 stations, is also on the hunt as is Leon Black’s Apollo Global Management. Second-round bids are expected by mid-December, sources tell Media Ink. Tribune Media’s stock closed at $38.92 on Thursday, up 5 cents, giving it a market cap of $3.4 billion. The company declined to comment.